Cool new floor plan in Thomas Heights. Unlike anything we have built before, this tri-level offers four to five bedrooms, three and a half baths, and quality design that flows beautifully through each level. Enter through the front door onto the main level dining area which opens up into the gorgeous kitchen. 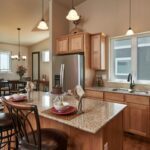 The kitchen boasts a large island, perfect for entertaining. The window above the kitchen sink looks out onto the patio, this close proximity makes summer grilling a breeze! There is a half bath located off the kitchen, as well as a mudroom/laundry room combination leading out to the 3-car garage. Going up a few steps to the upper level, you will find a family room with a corner fireplace. 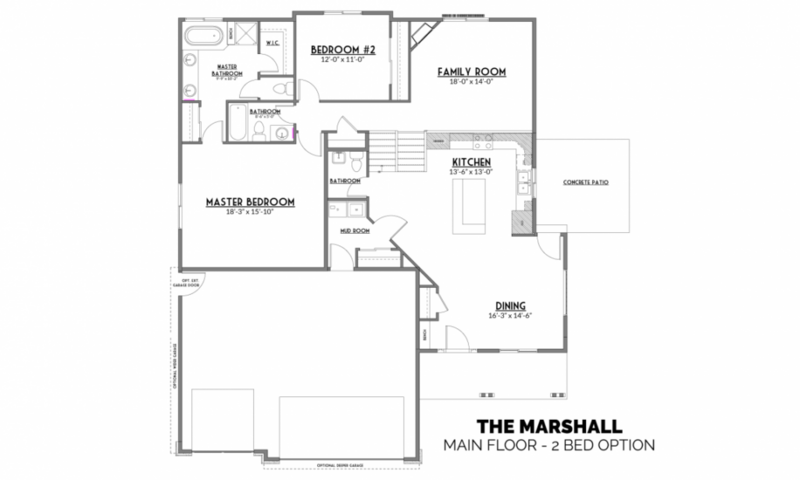 There are a few different bedroom options for this level, surely one will fit your needs! In the three bedroom option, you walk down a hallway to find two bedrooms on your right side, a bathroom at the end of the hall and a larger master on the left. Entering the master bedroom, there is both a standard sliding-door closet, as well as a walk-in closet and a fabulous master bath with dual sinks. Another option for this upper level is to remove the first bedroom and opt-in for a larger family room. Yet another option allows to remove the corner bedroom to create a larger master suite. This option makes the master bedroom quite a bit larger, as well as the bathroom. While keeping the two closets, this master bath option also features a bathtub and a little more space. All three upper level options are great and can transform to fit the needs of your family and lifestyle. Heading back down the stairs, past the kitchen on the main level, down to the lower level now. Here you will find a large recreation room. Perfect for a second family room with enough room for a pool table and even a wet bar, if you choose. This lower level is also complete with two more nicely sized bedrooms and a full bathroom. Heading down yet another set of stairs you will find the unfinished basement. This area is perfect for storage! 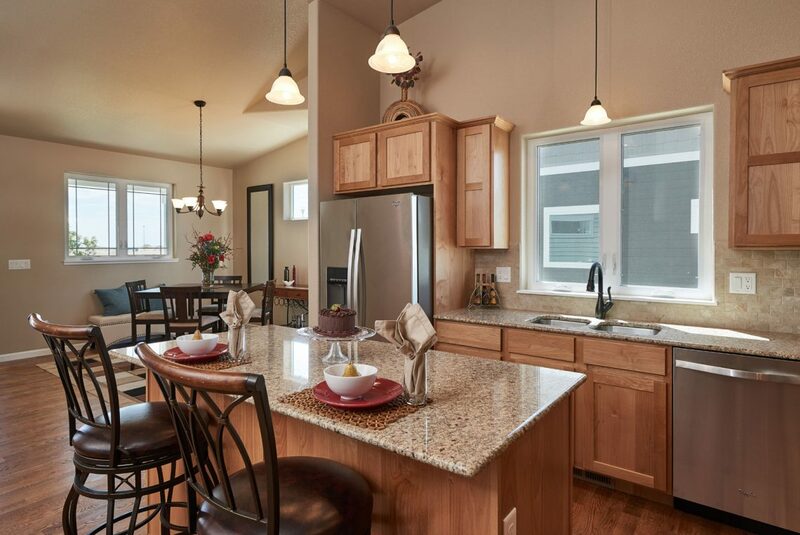 With plenty of room in this fabulous tri-level, you’ll want to call Thomas Heights home!